A while back, Asti @ Oh, The Books! did a post about doing blog features. I had never really considered doing my own unique blog feature before, but she mentioned how all you have to do to create a feature is follow this simple formula: books + _________. For some reason, books + weddings popped into my mind. I enjoyed doing a lot of research while planning my own wedding (though the actual execution of the planning was not as fun, especially when you had to worry about budget, boo!) and honestly the bug never entirely left my system. Now, I consider myself more of an idea person than an executioner, which is why you won’t see me going into event planning any time soon. But I absolutely love collecting pictures and ideas that fit a theme, and I thought it might be fun to try creating themed wedding ideas based off of books, and how the main character’s wedding might look. My first thought was definitely The Hunger Games, and I’ve collected a lot for it, but I’ve decided to save that one for another day. 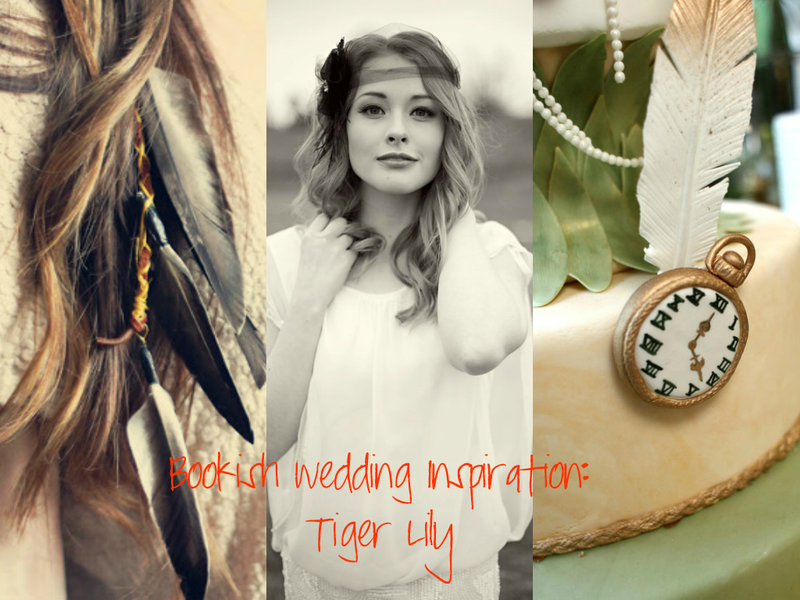 Today I wanted to share wedding inspiration for a more recent read for me, Tiger Lily. I will be mentioning themes in the book but will do my best to avoid any real spoilers! The people of Neverland pretty much only have natural resources to work with, so while this Vera Wang dress may be made of much finer material than their corner of the world has to offer, I thought the more beige color and the pieced together look was appropriate and might be at least somewhat similar to something Tiger Lily would wear on her big day. 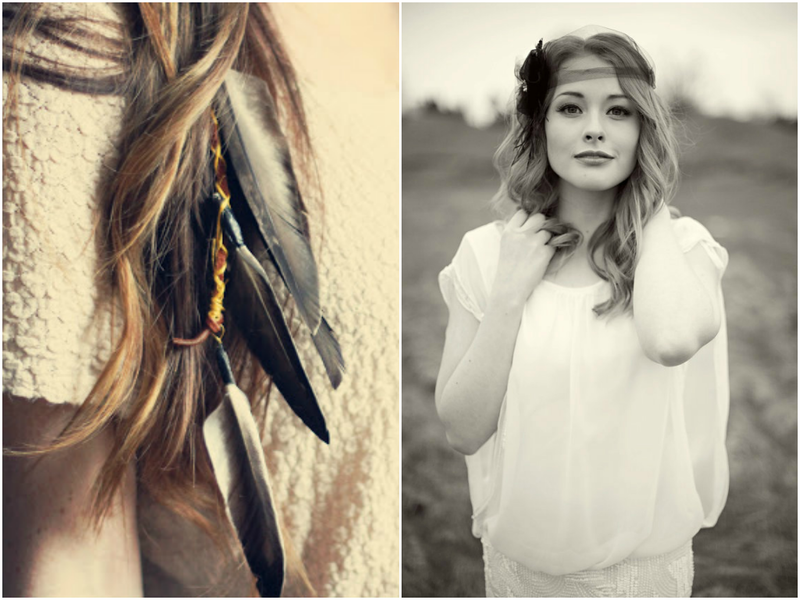 Tiger Lily wears crow feathers in her hair, and why should it be any different on her wedding day? To dress it up a bit, she might want to pair her usual style with a veil-like headpiece like this one available on Etsy. I imagine that for her bouquet, Tiger Lily would choose lilies from the island of Neverland, including, of course, tiger lilies. There is a mention of wedding bangles in the book, so I looked for some bangles made from leather but also had a nice, dressy touch to them. And around her neck, Tiger Lily could wear a clock necklace. I won’t say anything else about the significance of the clock due to spoilers, but those who read the book will understand why Tiger Lily would want such a piece of jewelry. I figured a laid back look for the groom would make the most sense, and this picture was closest thing I could find to what I had in mind. 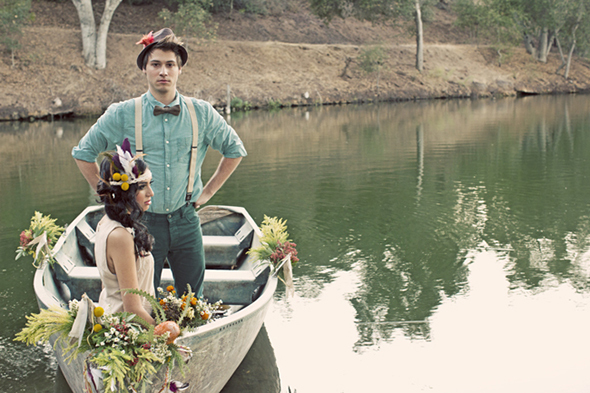 I felt these couple portraits were quite appropriate for a wedding in Neverland, and particularly for Tiger Lily. Obviously the location of the wedding would be outdoors in Neverland. 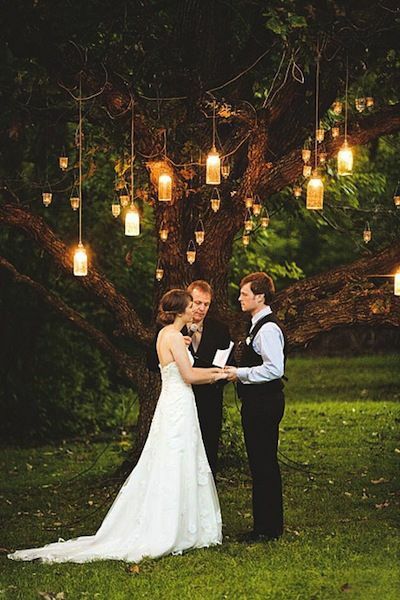 For the ceremony, I pictured something underneath a lit tree, much like the above picture. 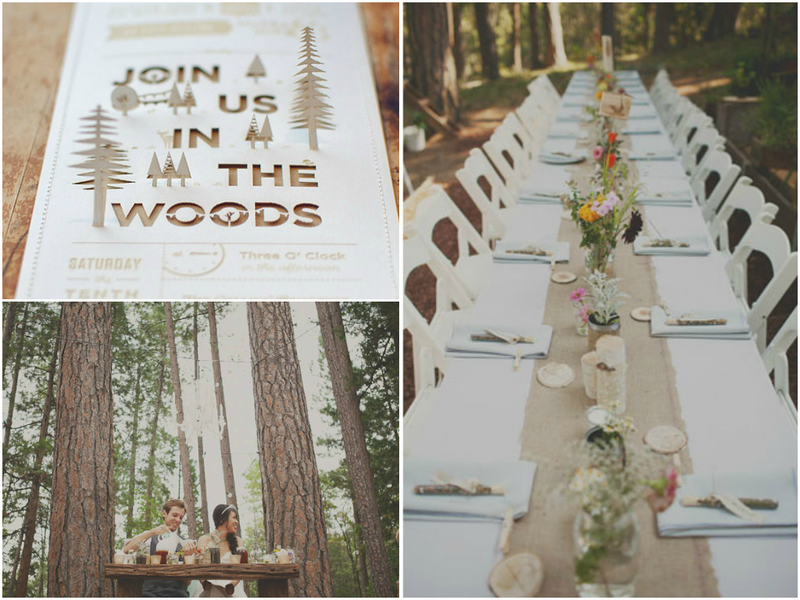 For the reception, a laid-back affair in a woodsy area. Of course, we can’t forget about the yummiest part of the wedding. 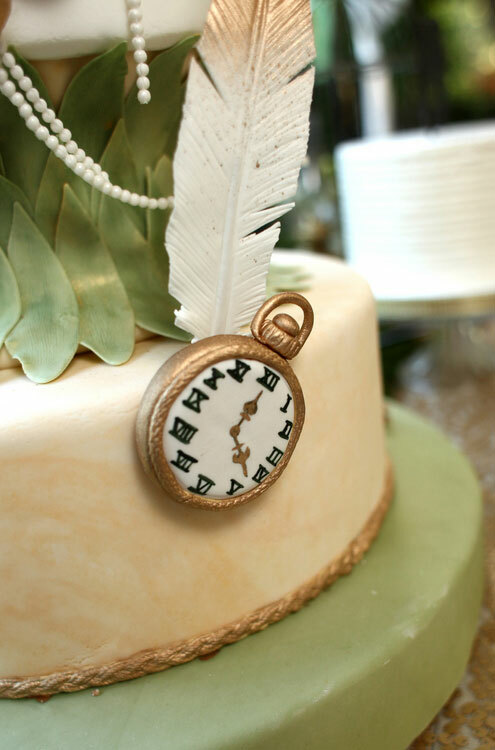 I’m not sure what flavors Tiger Lily would favor, but as far as the look of the cake, this one features the themes of both feathers and clocks once again. Let me know what you thought of this first installment of my Bookish Weddings Inspiration feature! 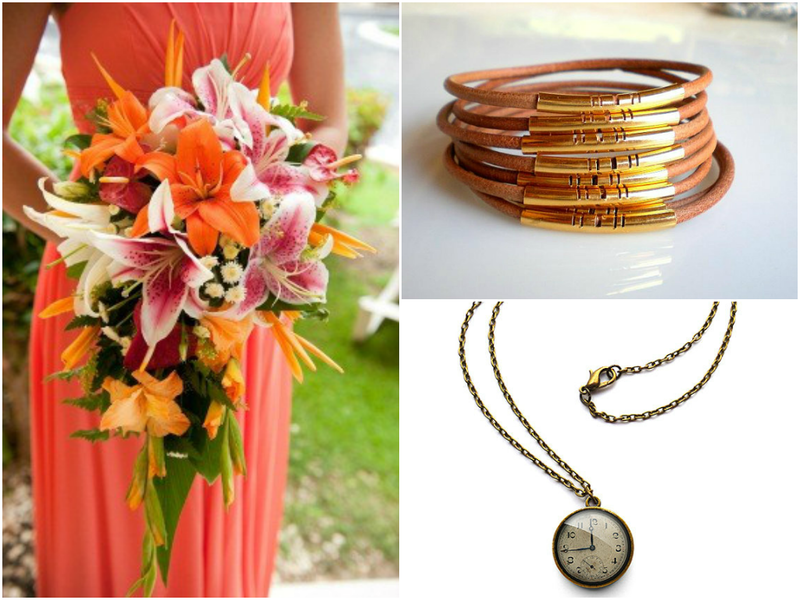 What would you expect to see at Tiger Lily’s wedding or at one inspired by her and her story? This entry was posted in Books and tagged bookish wedding inspiration, books, neverland, tiger lily, YA. Bookmark the permalink. Amy I love this! Who doesn’t love weddings? The bouquet is gorgeous and very similar to one I wanted until I decided on more neutral colors. I look forward to seeing which book inspires you next. Thanks; so glad you enjoyed it! It’s fun picking out wedding stuff that is so different from what I did for mine! Glad you like my new feature that you inspired out of me! 🙂 and the faeries! I can picture that too! Wow this is a fantastic feature! I love the idea and this first post is so gorgeous! You found some really perfect images! I mean that wedding dress is on point, as are the couple portraits! And the cake! I look forward to reading more bookish wedding themes! The Hunger Games one will be interesting! So glad you liked it and what I chose! I’m looking forward to putting together everything for my HG wedding post! I Iove it! It all seems to fit Tiger Lily so well, especially the hair style. I think the ceremony would take place on the beach and it would be all very laid back and very romantic. Yes it would! I didn’t want to mention who the groom would be for spoiler reasons! And I can definitely see the beach wedding too! Ohmygosh this is lovely! I cannot wait to see what other books you wedding-ify, haha. I would be so incredibly happy and elated if my wedding could look anything like this. 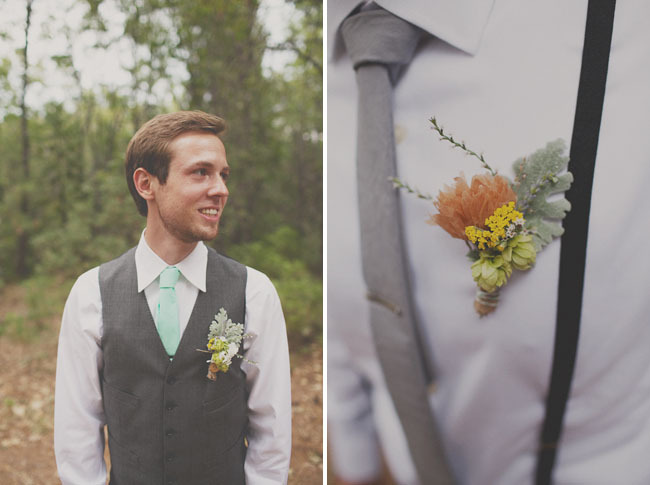 Woodland is definitely the look I would go for, and the groom’s outfit – AHH, it is so adorable! Thanks, Chiara! So glad you liked it; I enjoyed putting it together! Wow, all these are so pretty — they make me want to read Tiger Lily so bad! I’ve only ever been to indoor weddings (over here, the weather’s just way too hot to have them in a nice garden or something), so the prospect of going to/having an outdoor wedding has always been kind of a dream of mind, heh. And looking at all these pictures makes me so wistful! There’s just something magical about having feathers in your hair, or saying your vows under a lantern-lit tree… love it. Great post, Amy — loving this feature so far. Do more of it! Thanks, Meg! Unfortunately I didn’t really love the book (I’ll have my review up sometime next week) but this was still fun to put together! Outdoor weddings are more fun to dream about than attend I think, unless you just happen to get married on a day with perfect weather! Thanks; so glad you like the new feature! Ha ha, I know, I probably should have cropped that girl’s face out! Silly models. I’m glad you liked what I chose! I’m not a big fan of the dress but I do love everything else! It’s just gorgeous and I love it. I love this new idea of yours, and I think everything else just suits Tiger Lily! Except the dress, haha, I was imagining her in something embroidered maybe. I do understand that because I was sort of on the lookout for something like that, but probably could have searched harder (like doing an actual search for embroidered dresses). I was looking more for an idea than what it might have actually been. What a cool idea! I love the color palette, so pretty! Aww thanks, so glad you loved it! OH MY GOSH! This is absolutely perfect! Tiger Lily is one of my favorite books, and I feel this is SO realistic to the book. Thanks so much for sharing, and I can’t wait to see what book inspires you next! Thanks so much! I’m looking forward to doing this again!